Do you know if this is likely to be for local eating or do they sell them to exporters? A bit of both I would think. Thailand is a major exporter of many kind of Seafood, incl. Calamaris. Just got to think about it, Sunda Kelapa sounds like a Malaysian name, leading me to think that this is either a bad Thai translation or just simply an Malaysian fishing vessel. 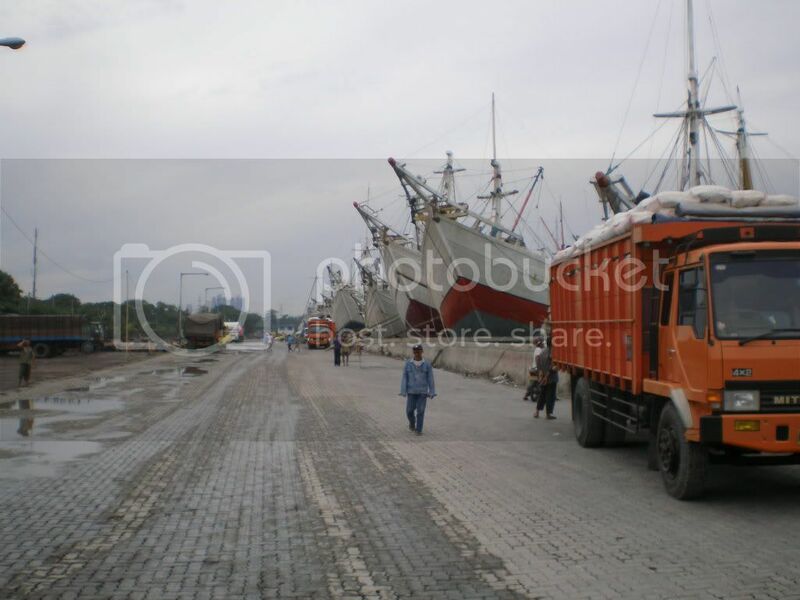 Actually Sunda Kelapa is the name of the famous old port near Jakarta, Indonesian, but the boat is typical Thai style. She is big enough to go to Indonesia to fish on Indonesian "quota", hence Indonesian register may be a necessary formality. It is not that far away to Indonesian EEZ in the South China Sea. The boat next to her appears to have same home port. Ah... I thought I had heard that before! Cool.. agree with you, she is a tyical Thai style fishing vessel and if I were to guess her building place, I would say Samut Songkhram (Thailand). Here Photo`s from the Dutch Fishing Boats: E.126,HA 41,LE-62,PD-657. Fishing boats certainly comes in all shapes and types, no doubt... There is a lot of interesting "catch" in this thread now... and I'm pleased to see there is still additional vessels being added. Depending on their area of operation, they are especially and typically rigged for harvesting the oceans in different ways as effective as possible with the technology and resources they have at hand. 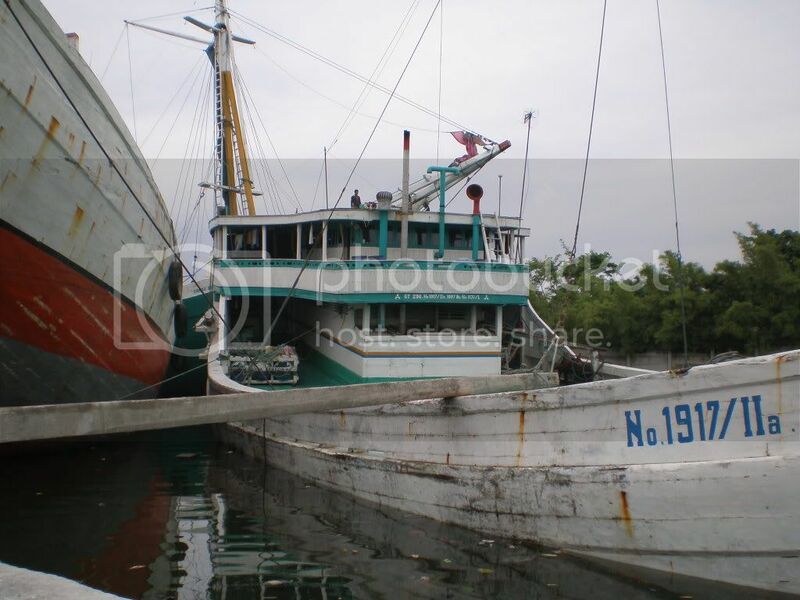 Here Photo`s from the Fishing Vessels:TS.6,TS.9,TS10. pictures out of website Parlevliet & Van der Plas B.V.
Diederik Parlevliet, the Chief Executive Officer (CEO) of Parlevliet & Van der Plas B.V., one of the largest European fishing companies with headquarters in Katwijk in the Netherlands, and Stephan Wrage, the Managing Director of the Hamburg-based manufacturer SkySails, signed a purchase agreement on 6 October for the world’s first towing-kite wind propulsion system to be in-stalled on a fishing trawler. SkySails propulsion is scheduled to be placed in operation early next year aboard the ROS-171 "Maartje Theadora" fishing trawler. "We are looking for-ward to significant fuel savings by using the SkySails-System, particularly during those extended transfer runs to the African coast and in the South Pa-cific, not to mention the potential savings during actual fishing operations," says Diederik Parlevliet, "while at the same time enabling us to reduce enormous amounts of CO2 emissions and make a big contribution to safeguarding the climate." At 141 meters in length, the "Maartje Theadora" is Germany’s largest fishing vessel and is operated by the Sassnitz-based Westbank Hochseefischerei GmbH, a member of the Parlevliet & Van der Plas Group. The ship has two MaK main engines that produce a total of 8,640 kW of power. The vessel will be fitted with a 160m² SkySails propulsion system like those already in use on cargo ships. Parlevliet & Van der Plas and the systems manufacturer SkySails will be evaluating if and in what way the wind propulsion system needs to be modified for use on fishing vessels on board the "Maartje Theadora" as part of a pilot project funded by the European Fisheries Fund (EFF) and the German state of Mecklenburg-Western Pomerania. SkySails propulsion previously underwent pilot testing for a year and a half aboard the cargo ships "Beluga SkySails" owned by the Beluga Group and the "Michael A." from the Wessels Shipping Company. Not only did the testing confirm the viability of this towing-kite propulsion concept on board, the measurements of the tractive force generated make the SkySails-System the most capable and effective wind propulsion system in the world. Thanks to its unprecedented physical properties, the system produces between 5 and 25 times more power per square meter than conventional sail propulsion. Even a 160m2 SkySails generates a tractive force of 8 metric tons, which is comparable to the thrust of an Airbus A318 engine. SkySails is currently fitting its innovative towing-kite propulsion system onto a series of three new cargo ships belonging to the Wessels Shipping Company of Haren an der Ems. Two months ago the "Theseus" became the first ship in this series to enter service with the SkySails. Meanwhile, SkySails is working full steam to expand production in order to be able to produce larger quantities of the system starting at the beginning of next year. SkySails and the venerable Zeppelin Group established a joint venture called "Zeppelin SkySails Sales & Service" at the beginning of 2009, which began operations in March and handles the worldwide sales and service of SkySails propulsion. All SkySails-Systems can be maintained and rapidly supplied with replacement parts across the globe using the existing service network of the highly respected marine engine supplier Zeppelin Power Systems. The name of the ship is "Nontind" and it seems she was towed to Stokksund. To Stokksund as in destined for scrapping I wonder? Thanks for the name, now I can update my folder! Thank you so much Asimut.... It's not that important, the most important was to find the name of her. She didn't look like she was headed for scrap though. she seemed to be fully equipped at the time. Thanks for all the new posts here ladies and gentlemen! There is fishing boats for any occasion and almost any type of fish!